This entry was posted in Uncategorized and tagged #storymark, 4 wheeler, 4wheeler, clothing, movies, mud, red clay, South, tubing. Bookmark the permalink. Now, this was something funny and entertaining to watch. 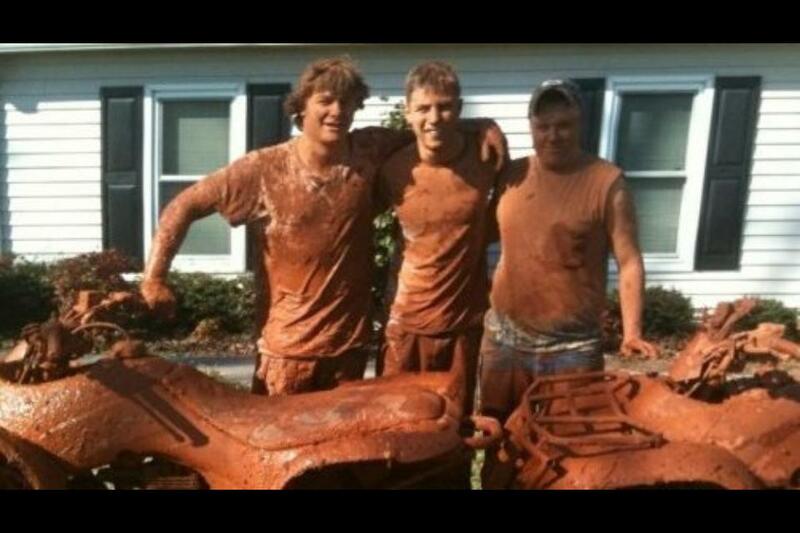 Going out and go mudding must be a lot of fun and something different. I`ve never actually went and would love to go one time. Thank you for sharing this experience with us! Wow, I hope you made him clean up after himself 😉 On the video he said the cops showed up, why would it bother them about this ‘mud tubing’?